Considering that most people have thousands, if not tens of thousands, of songs in their iTunes libraries, those libraries can take up a lot of hard drive space. And when you add in apps, podcasts, HD movies and TV shows, and books, it's common for an iTunes library to tip the scales at 25, 50, or even 100 GB. Here's how to keep your huge iTunes library (and even expand it) while still leaving enough room for important programs and files on your main hard drive. And with the cost of 1-2 terabyte (1 TB = 1,000 GB) drives coming down all the time, you can get a tremendous amount of affordable storage. Find and purchase an external hard drive that's in your price range and is substantially bigger than your current iTunes library. You'll want a lot of room to grow into before you need to replace it. 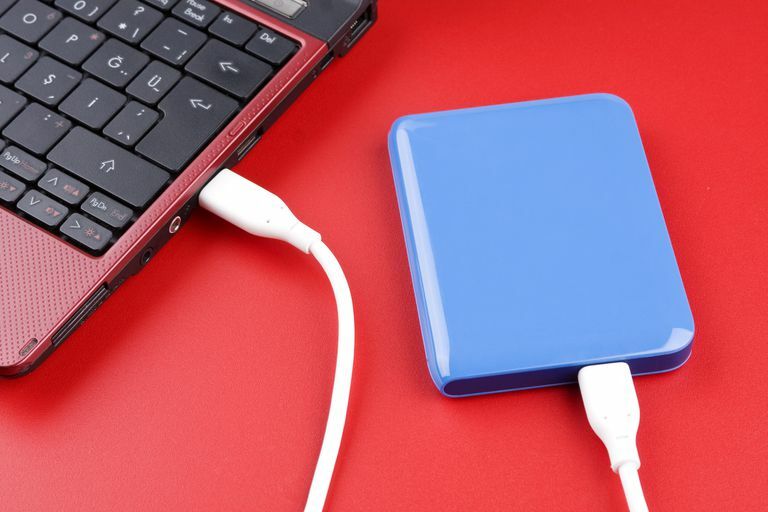 Connect your new external hard drive to the computer with your iTunes library on it and backup your iTunes library to the external hard drive. How long this takes will depend on the size of your library and the speed of your computer/external hard drive. You may need to Authenticate to make a copy of your iTunes folder; go ahead and do this. Hold down the Option key on a Mac or the Shift key on Windows and launch iTunes. Hold down that key until a window pops up asking you to Choose iTunes Library. Navigate through your computer to find the external hard drive. On the external hard drive, navigate to the location where you backed up your iTunes library. When you find that folder (on a Mac) or a file called iTunes library.itl (on Windows), click Choose on a Mac or OK on Windows. iTunes will load that library and automatically adjust its settings to make that the default iTunes folder while you're using it. Assuming you followed all the steps in the backup process (most importantly consolidating and organizing your library), you'll be able to use your iTunes library on the external hard drive just like it was on your main hard drive. At this point, you can delete the iTunes library on your main hard drive, if you want. However, before you do that, make sure that everything from your iTunes library transferred to your external drive, or that you have a second backup, just in case. Remember, when you delete things, they're gone forever (at least without redownloading purchases from iCloud or hiring a drive-recovery company), so make absolutely sure you've got everything you need before you delete. If you delete the iTunes library on your main hard drive, you won't have any music, video, or other iTunes files with you when your external hard drive isn't connected. This may be OK if you've got an iPod or iPhone, but if not, it might be a pain. When you sync an iPhone, iPod, or iPad, make sure you've connected the external hard drive first. Since your iTunes library lives on the external drive, when you try to sync those devices, they'll look for that drive. If they don't find it, syncing will be messy or problematic. Consider disabling the auto-sync feature in iTunes to prevent that kind of problem. Hold down Option or Shift when you launch iTunes. Select the iTunes library on the external drive. Next, go to File > Library > Organize Library. In the window that pops up, make sure the box next to Consolidate files is clicked. Click OK. This will copy the new files that you added to your main hard drive's iTunes library to the external hard drive.